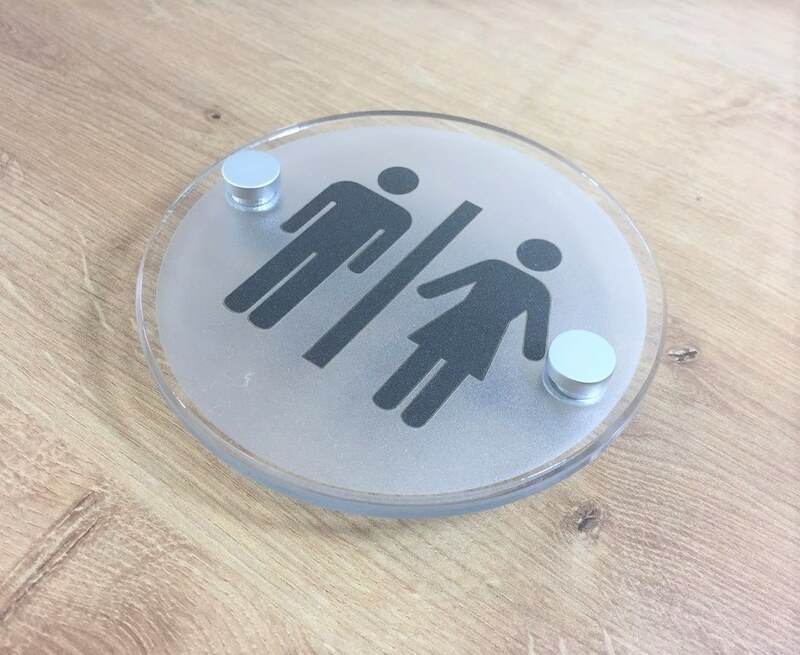 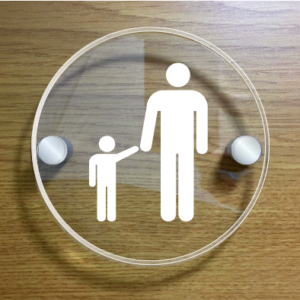 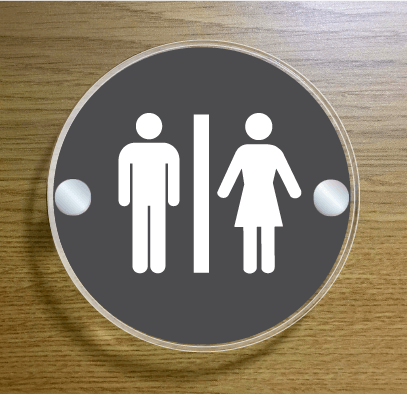 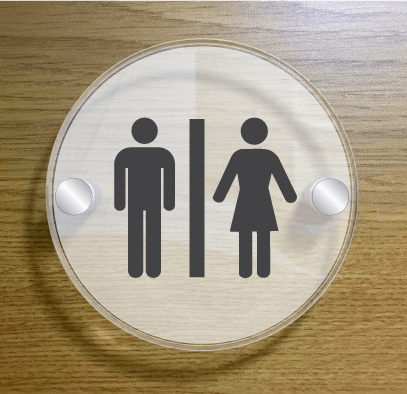 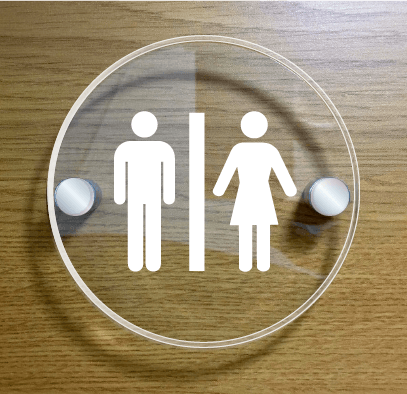 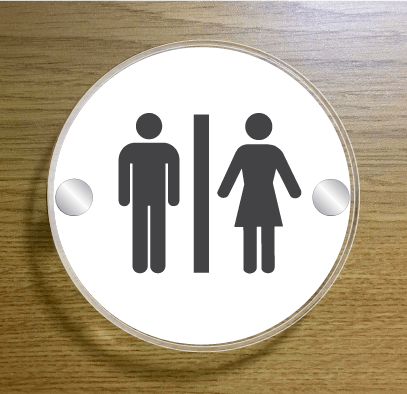 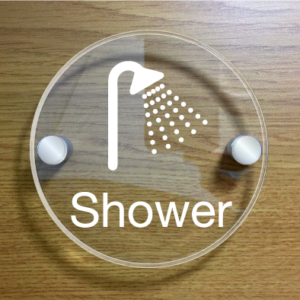 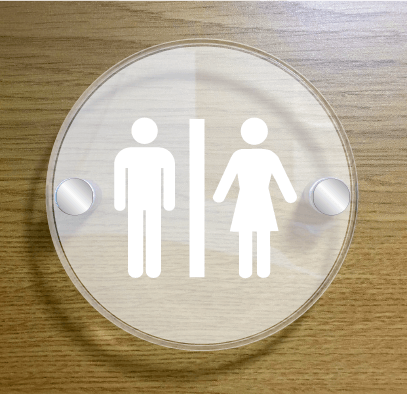 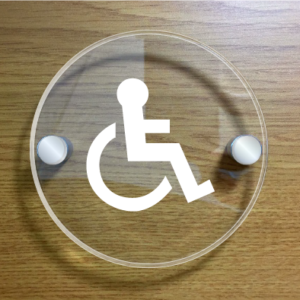 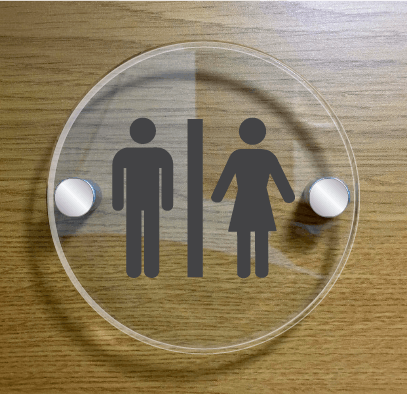 These contemporary acrylic Unisex Toilet signs are 11cm in diameter or width and available to order in six different colour styles and two shapes – circular or square. 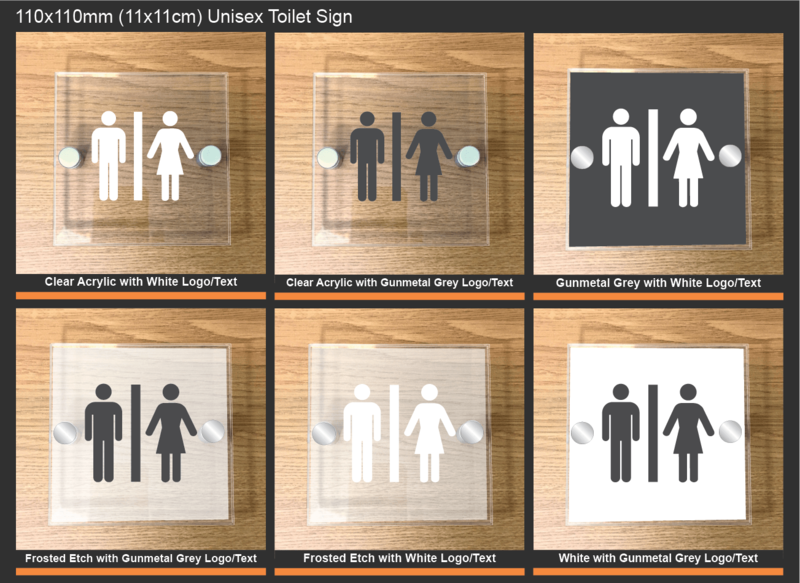 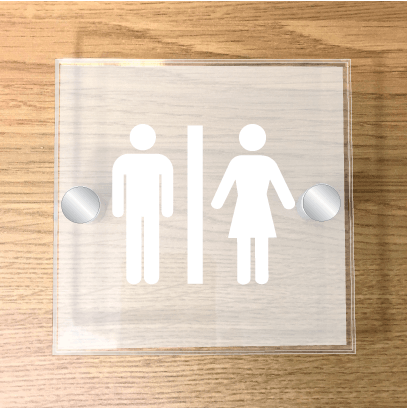 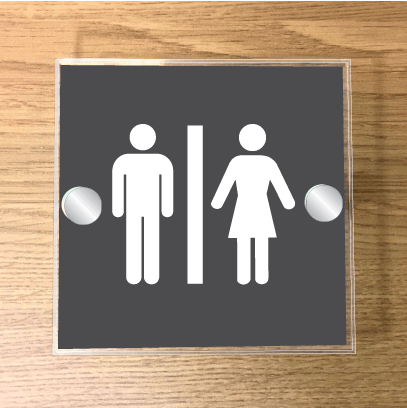 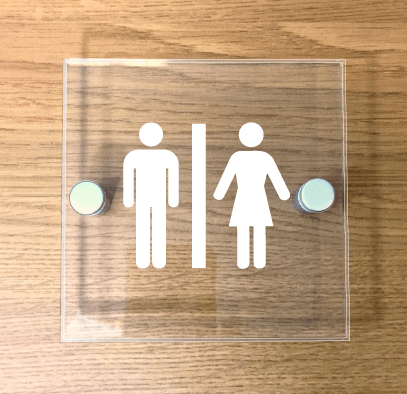 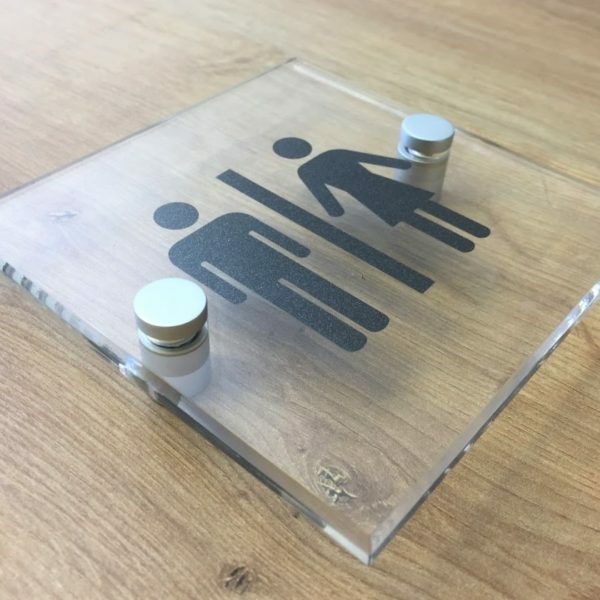 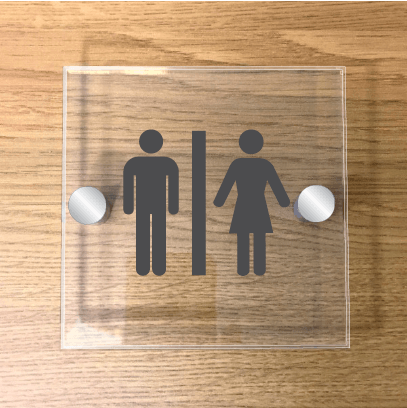 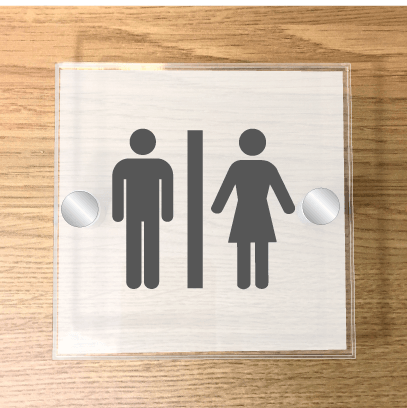 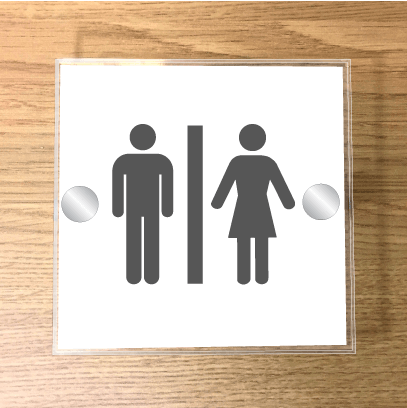 Manufactured from 5mm thick clear Perspex with a small, flame polished bevel to the front face, these signs are sure to add a wow factor to your company toilet facilities. 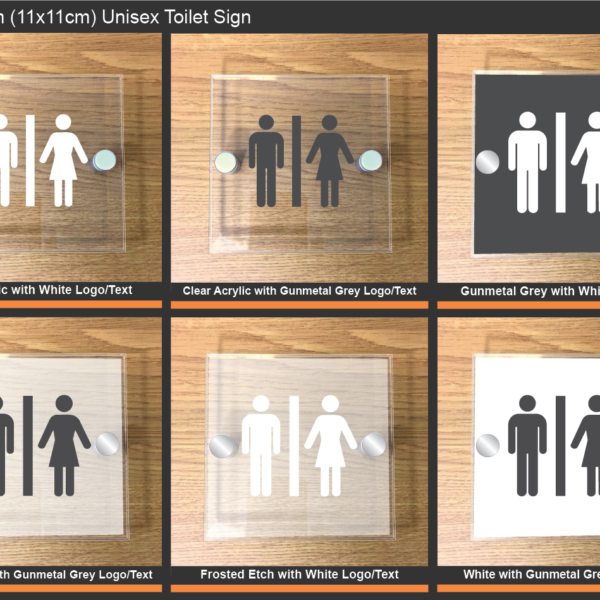 If you would prefer a different colour style to those shown please just mention this in the ‘Order notes’ box on the check out page and we’ll contact you with a proof of how these could look. 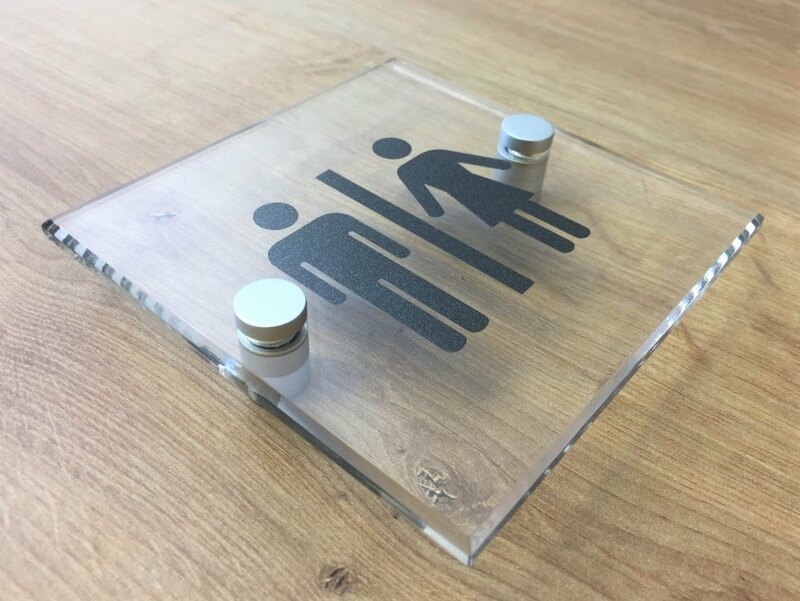 Alternatively if you would prefer a larger size or shape or even to add your company logo please contact us for further details. 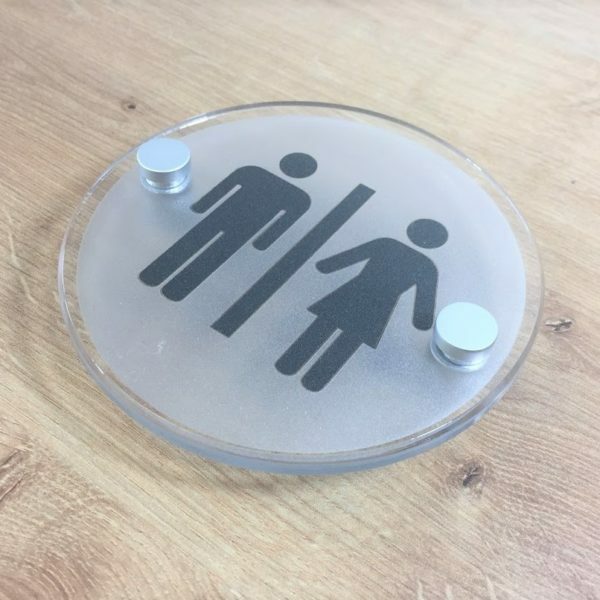 Lead time on this sign 5-8 working days.